2. Powerful BRUSHLESS motor - 1/3 hp horsepower, no maintenance, brushless motor is more powerful than any other stand dryer. 3. 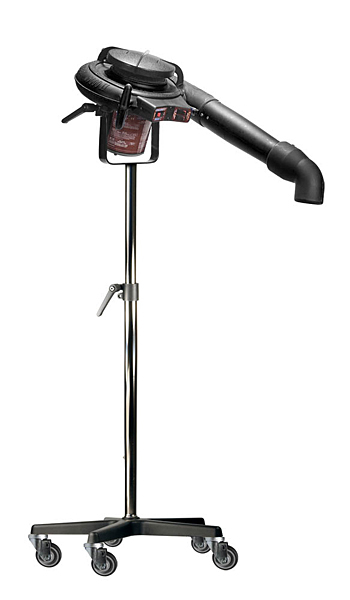 More airflow than any other stand dryer - Produces 260 cubic feet of air per minute to dry animals quickly. 4. Quiet operation - Impeller design, housing material and sound damping intake dome all combine to reduce noise levels. 5. 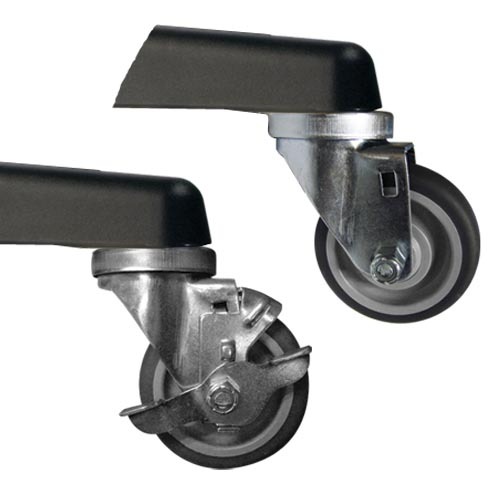 Stable, unbreakable 5‑legged stand base. 6. 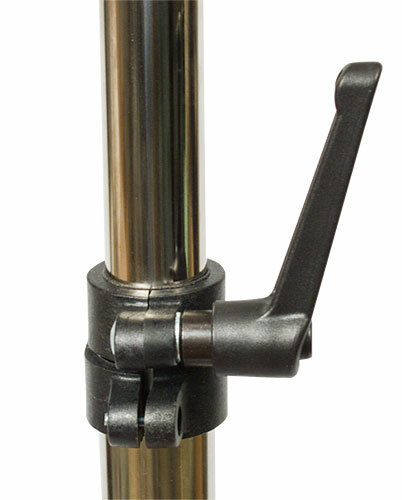 Gas spring‑loaded adjustable stand assembly - Makes height adjustment almost effortless. 7. 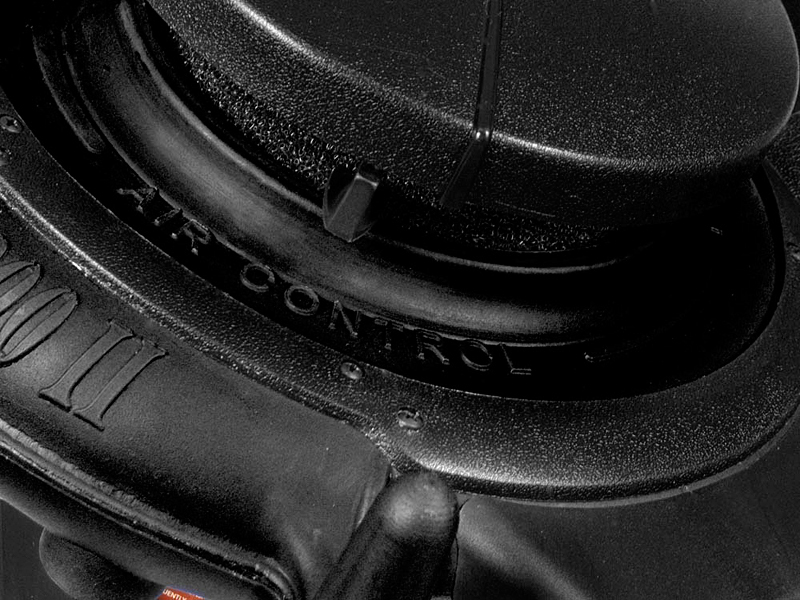 Versatile heat and air volume control settings. 8. Ergonomic ratcheting adjustment handles. 9. Unique “motor under” architecture - Creates better center of balance and reduces noise projected to the side of the product. 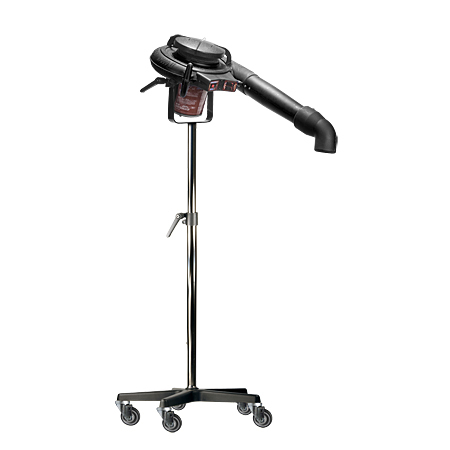 Also allows head adjustment such that air outlet nozzle can be positioned as low as 19 inches and as high as 6 foot 8 inches from floor level. 10. Centrifugal impeller technology - Allows more air with less noise than other fan systems. Also produces air under high pressure, allowing the use of a hose with minimal air volume losses. 11. Air intake filter - Keeps impeller and internal parts clean. 12. Unbreakable, rustproof, dent-proof housing. 13. Optional accessory kit available. 14. Two year limited warranty on parts and labor. 15. 30 day money‑back satisfaction guarantee.